Tabitha Lyons is renowned in the world of Cosplay and runs international props and costumes business Artyfakes Action Props Ltd with her Dad Nic Samiotis. 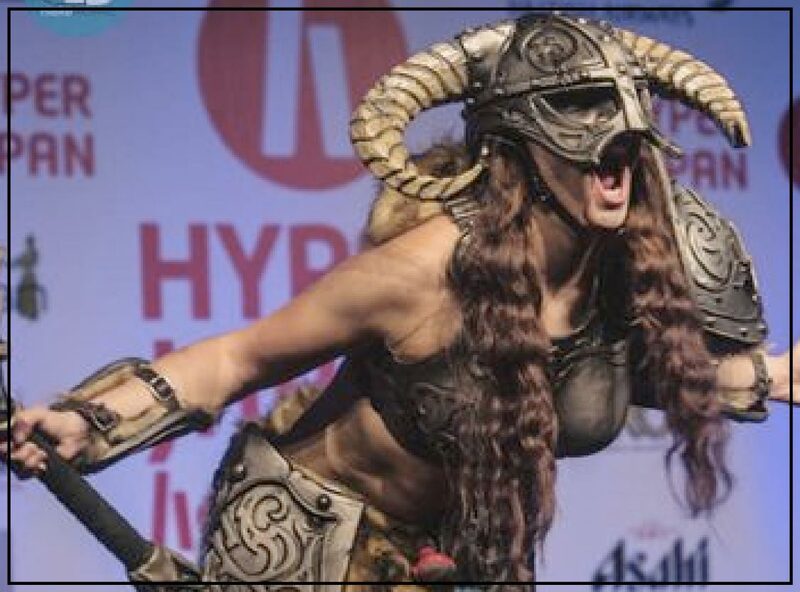 They specialise in foam and latex creations for Cosplay, LARPing, films, theatre and TV. Having been Live Action Role Playing since she was 8 and making props from the age of 12, Tabitha began Cosplay in 2012 at a London convention for KaPow! Nic Samiotis the Artyfakes Action Props Creative Director has over 20 years experience in prop manufacturing. He originally focused on quality, safe and durable LARP Weapons and movie grade props but soon expanded into other areas after being joined by Tabitha. Artyfakes props and costumes are crafted entirely by hand, so every commission is totally unique and safe for use at Cons or while LARPing. Their specialised construction techniques developed over many years make them light weight and soft to the touch, allowing the props to be safelyused for LARP and carried around at Cons without the fear of causing injury to others. These same construction techniques also make their pieces ideal for film, TV, theatre, live events and many other applications. Their commission service allows customers to get exactly what they need for their character or Cosplay. Tabitha will be doing demonstrations and talking about her foam and latex work on the Artyfakes stand in the Monster Mash.